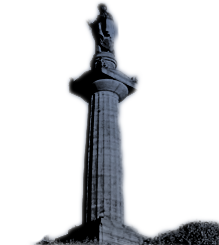 Welcome to the online home of The Friends of Glasgow Necropolis – the official guides of the Necropolis. This website is a focus for developing interest in this fascinating Victorian garden cemetery adjacent to Glasgow Cathedral. We organise guided walking tours of this 37 acre cemetery full of wonderful architecture, sculpture and fascinating stories relating to the 50,000 people remembered here. As a charity, donations we receive from our tours are used for restoration work. We are always looking for new information – please contact us chair@glasgownecropolis.org if you can contribute to our website. We are particularly keen to hear from descendants of the ‘incumbents’ that can provide profiles of those buried here. These informal and informative tours of the Glasgow Necropolis will be undertaken, weather permitting, on the dates noted below. Prior booking required.